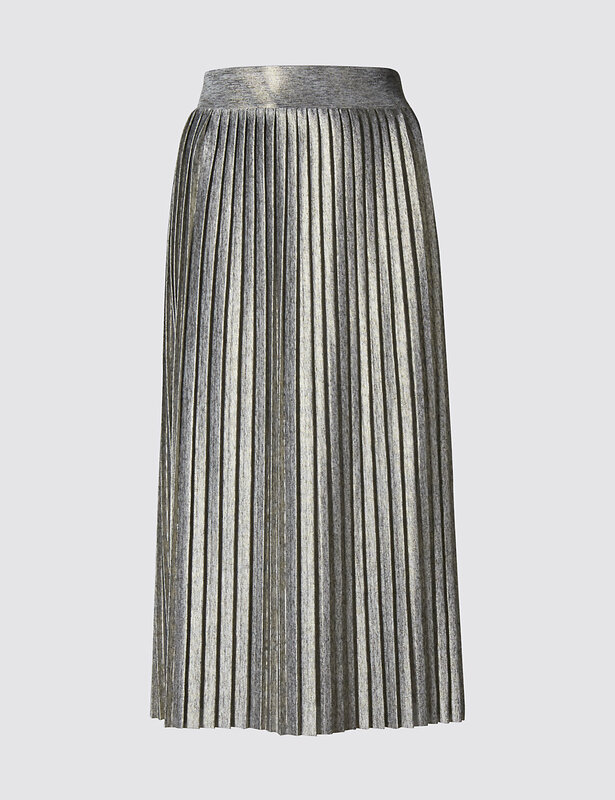 Pleated skirts seem to be taking over at the moment and to be honest, I’m delighted about it! I love how they make your figure look, almost a perfect hourglass without the need of a waist trainer! 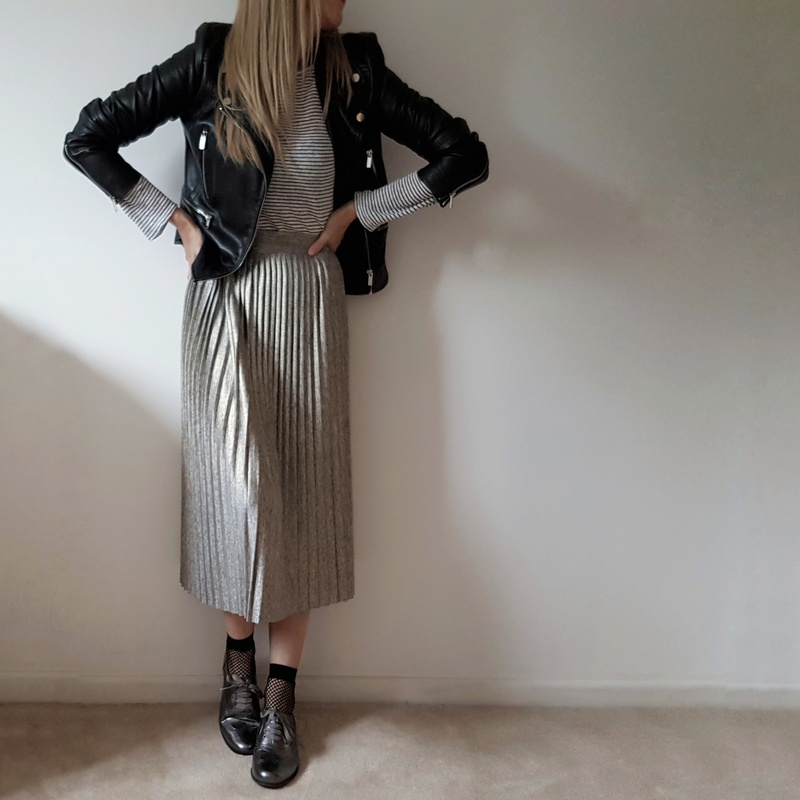 I have a few tucked away in my summer closet but fancied something a little more luxe as we creep into winter. Something I can wear with my heels one day and a chunky knit and trainers the next, so when I spotted this beauty in M&S I knew it had to be mine! 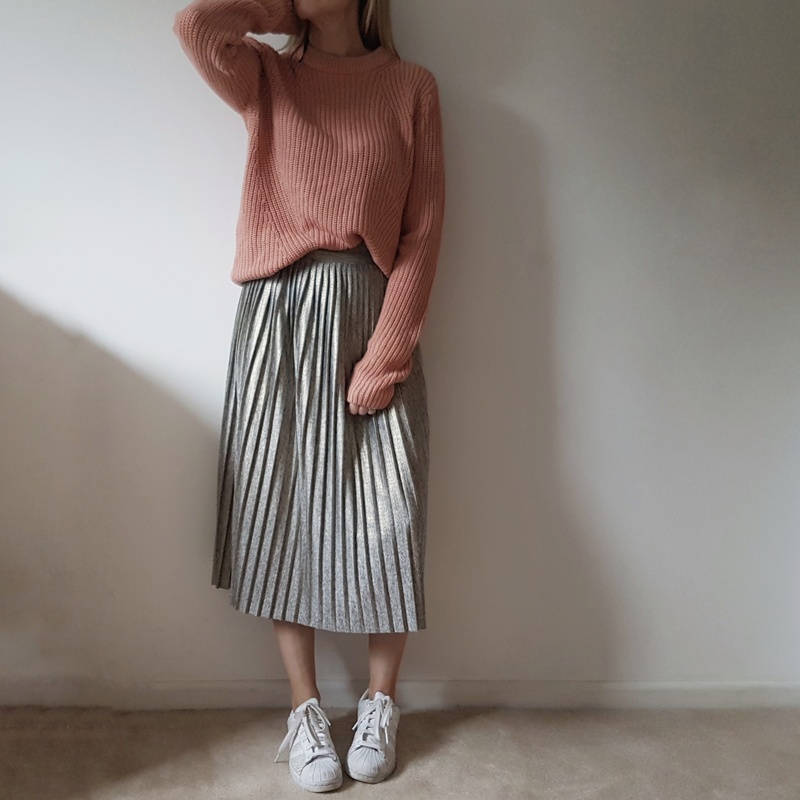 I did find [I do with most skirts this style] that I needed to size up, as the waistband is a little snug and with most items of clothing I buy, its longer on me than most as I’m petite at 5’2. 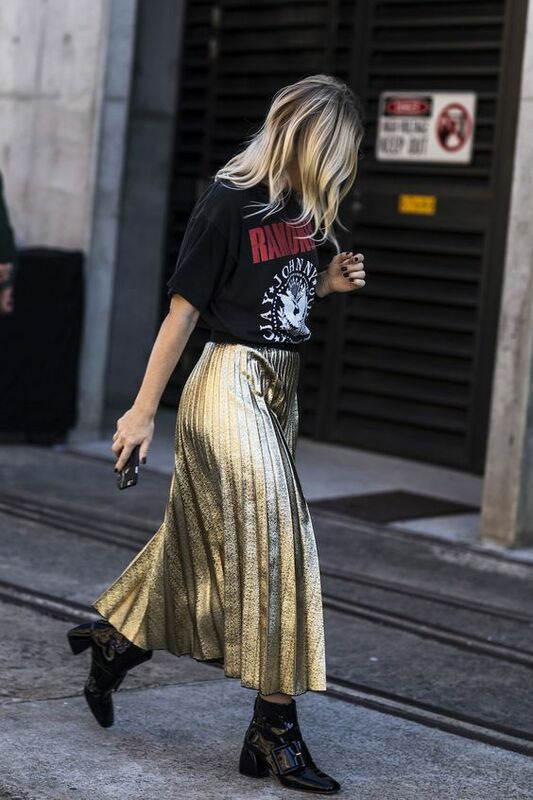 I’m still being really good when it comes to my spending so I’m making sure that the pieces I buy will A) Have a great shelf life and B) Can be styled with clothing I already own! Dressed up here with a black slim fit jumper from ASOS [old, similar here] Heels Christian Louboutin [similar here] and bead detail bag from Primark. 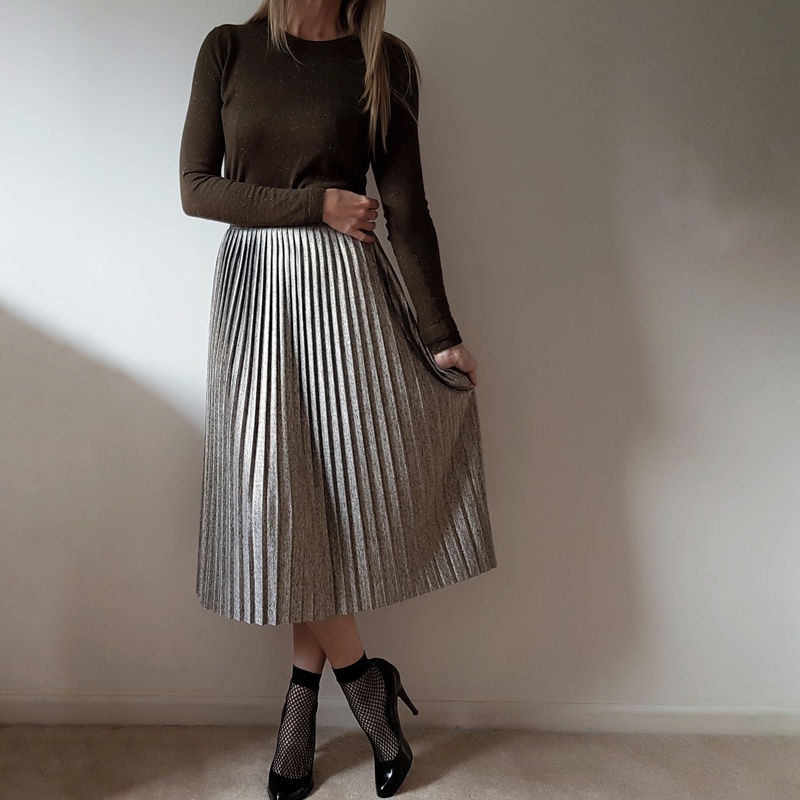 Olive metallic jumper Whistles [still available here ] Fishnet socks Primark and shoes as above. Striped linen bretton H&M [old similar here] Leather jacket Mango [old similar here] Brogues Clarks [similar here] and socks as above.